My mother taught me many things, but there are 3 important life lessons that my mother taught me for successful teaching that I want to share with you. 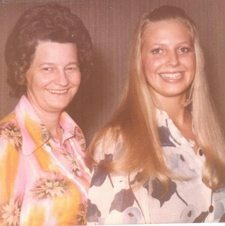 My mother and I on Mother's Day in 1973. A mere 30 plus years ago. Somehow my heart told me to share this with you. 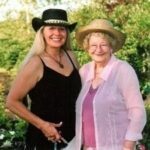 Before I share the 3 things my mother taught me, I’d like to tell you a little bit about her. My mother Rosabel was an amazing woman, I am truly missing her. Rosabel was passionate about music. She was not a professional teacher, singer or concert performer, however, she was passionate about music and education. Rosabel sang in the church choir (that’s where she met my dad, plus she loved his blue eyes... *sigh*), she played the violin and later in life she took up the accordion. The first thing my mother taught me was the "Love of Learning and Sharing Music." She was encouraging as I began my piano and theory studies, proud of my accomplishments at festivals and exams. She was insistent that I complete my studies with formal training and professional teachers. The second thing my mother taught me was “Yes I can be an Inspiring Teacher”. I was encouraged to begin teaching at the age of 16 while continuing my studies and finally attaining my ARCT. My mother taught me about the importance of Never Ending Professional Development. NEPD she called it. She had more degrees, certification courses, professional development certificates than I could ever dream of having. She NEVER stopped learning. In fact she was still taking accordion lessons at the age of 77 and performing with her "Pembina Players", a small group of "senior" musicians that she organized into an "orchestra". They performed regularly and sometimes even had 2 gigs in one day... lol. The third and most important thing my mother Rosabel taught me was to "Always Have a Dream." Several years ago, my mother began loosing her battle to breast cancer, but she continued to share her dream and encouraged me to share mine. Much of my early writings in the Ultimate Music Theory Series were written while she sat beside me reading a book, just being in the same room with me while I wrote, so I wouldn’t feel alone. Then later as I sat with her in the hospital, she encouraged me to keep writing, asking what I had accomplished that day and how I thought my workbooks would help teachers and encourage their students to study music. She said, "Glory, Always Have a Dream." Rosabel's many accomplishments were not just in music, she was also a business owner of several dress shops and retail outlets, an entrepreneur, a fabulous grandmother, mother and very dear friend. In her passing, I came across a poem on a small piece of paper that she had kept on the wall in her apartment. I treasure that poem and I carry it with me in my wallet to this day. I want to share it with you. 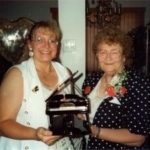 My mom Rosabel presenting me with a musical Grand Piano in Celebration of attaining my ARCT RMT. I want to share my dream of helping you continue with NEPD (Never Ending Professional Development) through the Ultimate Music Theory Certification Course. The Ultimate Music Theory Certification Course is designed for YOU, so you too can Always Have a Dream and continue your Never Ending Professional Development. 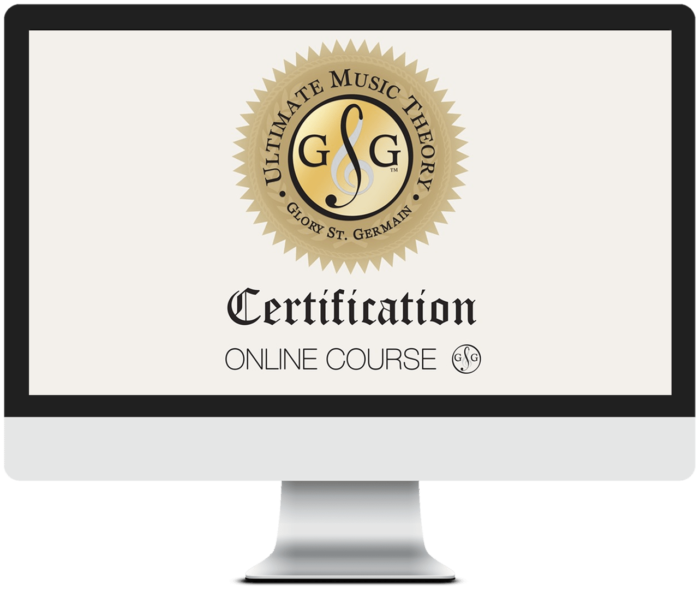 Learn More about the Ultimate Music Theory Certification Course. Contact Us if you have any questions. We are here for you. We are learning together. P.S. I know my mom would be very proud of me today. And I am very proud of you. I am blessed to call you my friend. Please share what your mother, father or mentor has taught you.